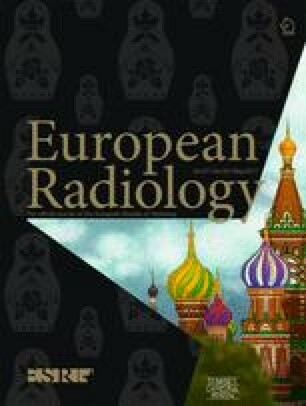 To identify imaging algorithms and indications, CT protocols, and radiation doses in polytrauma patients in Swiss trauma centres. An online survey with multiple choice questions and free-text responses was sent to authorized level-I trauma centres in Switzerland. All centres responded and indicated that they have internal standardized imaging algorithms for polytrauma patients. Nine of 12 centres (75 %) perform whole-body CT (WBCT) after focused assessment with sonography for trauma (FAST) and conventional radiography; 3/12 (25 %) use WBCT for initial imaging. Indications for WBCT were similar across centres being based on trauma mechanisms, vital signs, and presence of multiple injuries. Seven of 12 centres (58 %) perform an arterial and venous phase of the abdomen in split-bolus technique. Six of 12 centres (50 %) use multiphase protocols of the head (n = 3) and abdomen (n = 4), whereas 6/12 (50 %) use single-phase protocols for WBCT. Arm position was on the patient`s body during scanning (3/12, 25 %), alongside the body (2/12, 17 %), above the head (2/12, 17 %), or was changed during scanning (5/12, 42 %). Radiation doses showed large variations across centres ranging from 1268-3988 mGy*cm (DLP) per WBCT. Imaging algorithms in polytrauma patients are standardized within, but vary across Swiss trauma centres, similar to the individual WBCT protocols, resulting in large variations in associated radiation doses. P.-A. Poletti and H. Alkadhi on behalf of the Swiss Society of Emergency Radiology. The scientific guarantor of this publication is Hatem Alkadhi. The authors of this manuscript declare no relationships with any companies, whose products or services may be related to the subject matter of the article. The authors state that this work has not received any funding. No complex statistical methods were necessary for this paper. Institutional review board approval was obtained. Informed consent was not required because the study represents a national survey, and no patient data were handled for this manuscript. None of the subjects have been previously reported. Methodology: retrospective, observational, multicenter study. We would like to thank Dr. Christopher M Smith, author of a survey in the UK, and Dr. Hampus Eklöf, author of a survey in Nordic countries, for providing us their questionnaires. We thank also Dr. Alexandra Platon, Geneva, and Dr. Daniel Ott, Bern, for supporting our project.